“It’s a full test. We have a third-party professional who’s doing it,” ACT Director Steve White told WEPM on ‘Panhandle Live’. 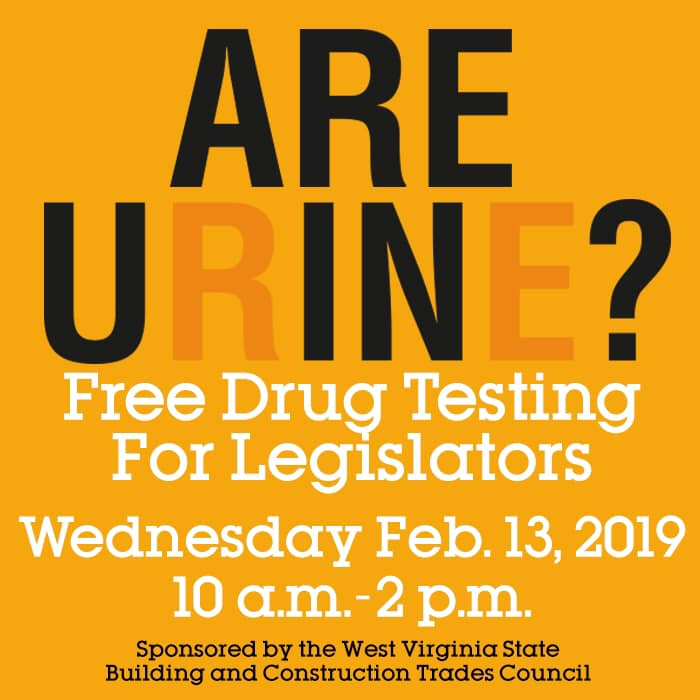 “We will not know an individual’s results. . . ."
White said it is an effort to educate legislators and remove the stigma that leads many to believe West Virginia workers can’t pass a drug test. White goes on to argue that West Virginia’s construction workers fare much better than the national average. Feel free to add your own punchline to this post.